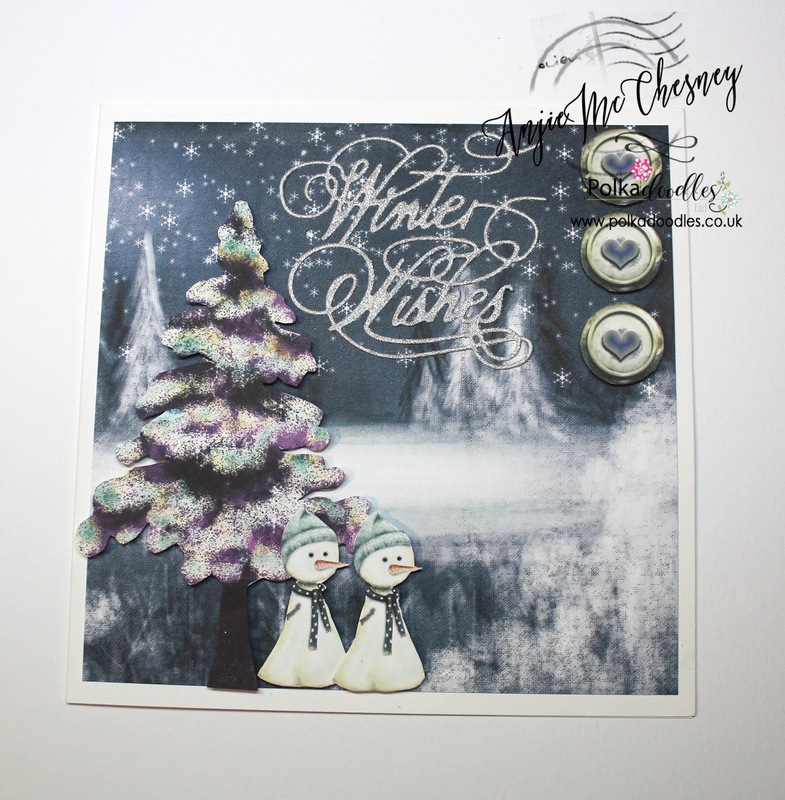 Anjie - I used some papers from the Octavia Frosted Winter Collection. 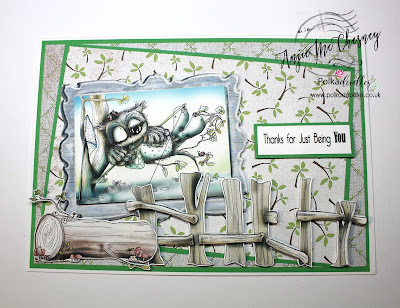 The dies I used are all from Polkadoodles and they are: Super Sprigs, the flower from the Bubbleicious Frames set, and the foliage die from the Birdhouse Doublet die set. 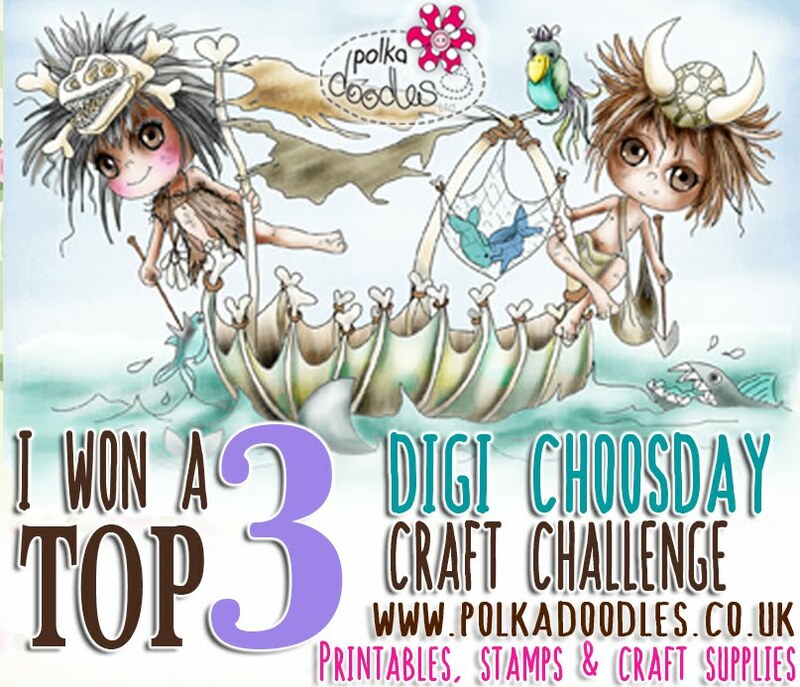 Check out all the rest of the dies from Polkadoodles HERE. 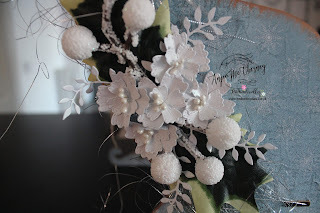 There are lots and lots more photos and other info on how I made this on my blog. 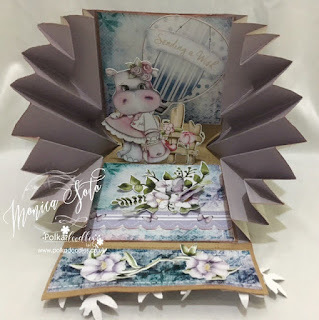 Jane S - I have used the adorable Helga Hippo collection for my card and the beautiful dies found in the Elegant Nest set. 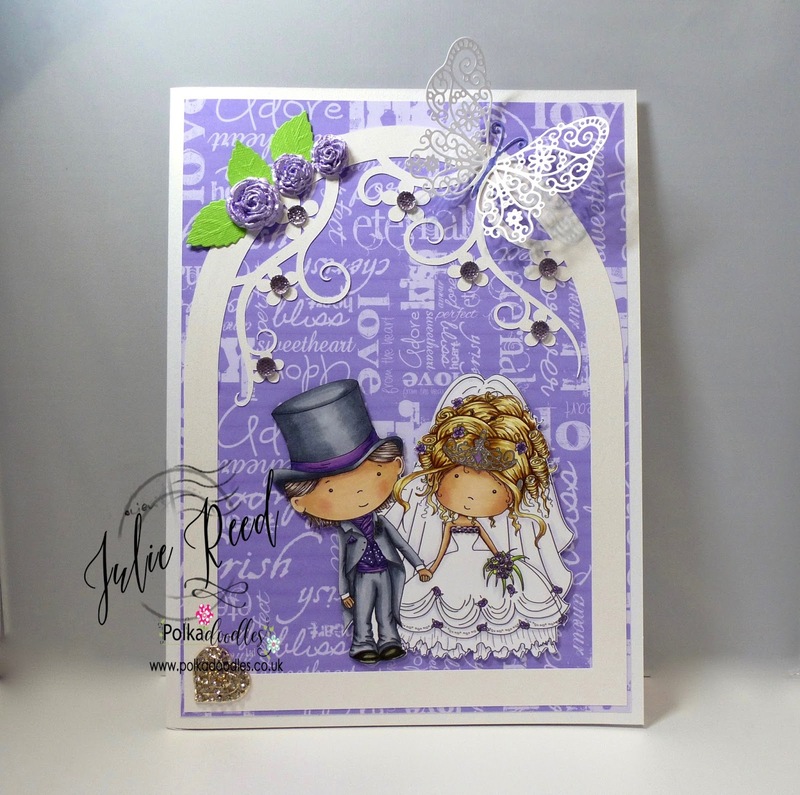 Julie - I have used the lovely Miss Kelly Von Sweets from Winnie Sugar Sprinkles, Coloured with pencils on Kraft and using the Polka Doodles Flowers 2 Die for the beautiful purple flowers. Monica.-For my card I used a golf cart, golf border and sentiment cutting files from Work & Play 11. This collection includes 29 beautiful cutting files to use with your Silhouette Cameo, Cricut, etc. 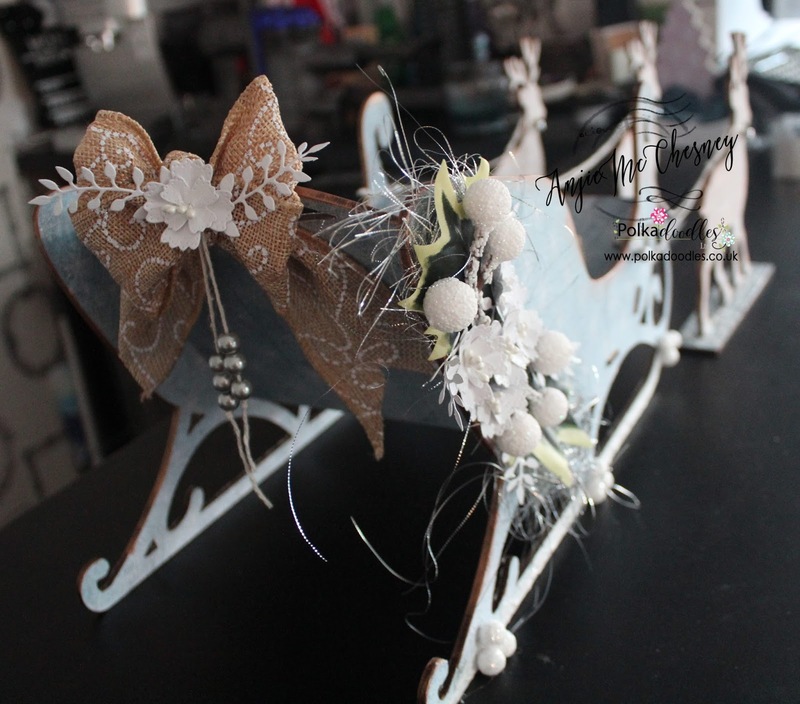 So lets see what our Design Team have made this week. Monica- I made an exploding card using almost all elements from desigh sheet #2 from new Helga collection. If you want just this design sheet, you can find it here in a duo with design sheet #1. 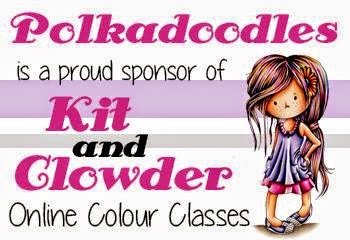 The sentiment is from design sheet #05 and the image is one of the precoloured images included in this lovely collection. Rebecca - I have used images and papers from the winnie-fruit-punch collection. 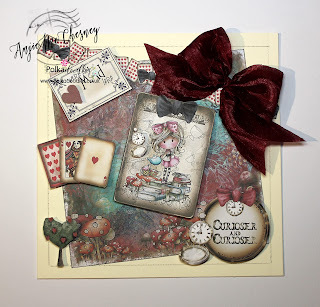 Anjie - I have used design sheet number 5 from the Winnie In Wonderland collection. You can buy the whole collection HERE. 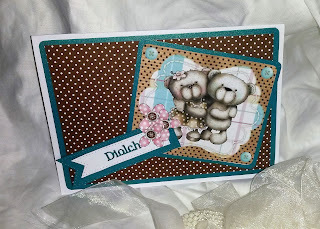 Everything on the card is from the design sheet and I still had a few bits left over which I will use to make a tag with. 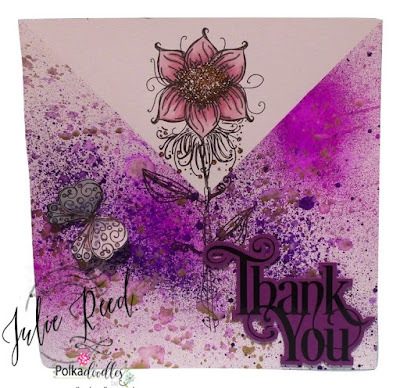 Julie - I have used a design sheet from Winne Fruit Punch to make my card this week, with a couple of added die cuts and backing paper. 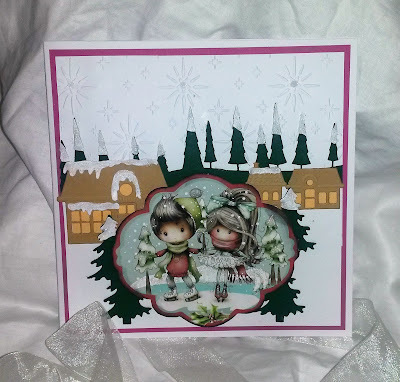 Jane P -The design sheet that I chose for this weeks card is Twiggy & Toots Sheet #5. 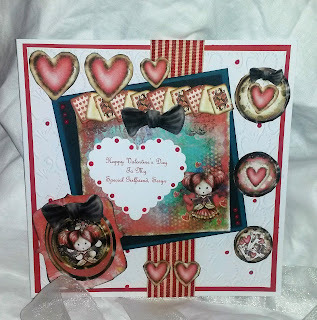 Head over to my blog to see all the fabulous layers you can get from just one sheet. Jane S - I have used Winnie Sugar Sprinkles Design Sheet 4 for my stepper card, and managed to use almost ALL of the elements LOL. You can also find this and other gorgeous goodies in the Winnie Sugar Sprinkles Bundle. Please email us HERE quoting DCW040001 to claim your prize of £5 worth of downloads from the digi store! NEW RELEASE TIME! She is ADORABLE!! Monica - For this romance challenge, I wanted to tell you a love story. To achieve that I used almost all the characters from Work & Play 9.-Love & Kisses. 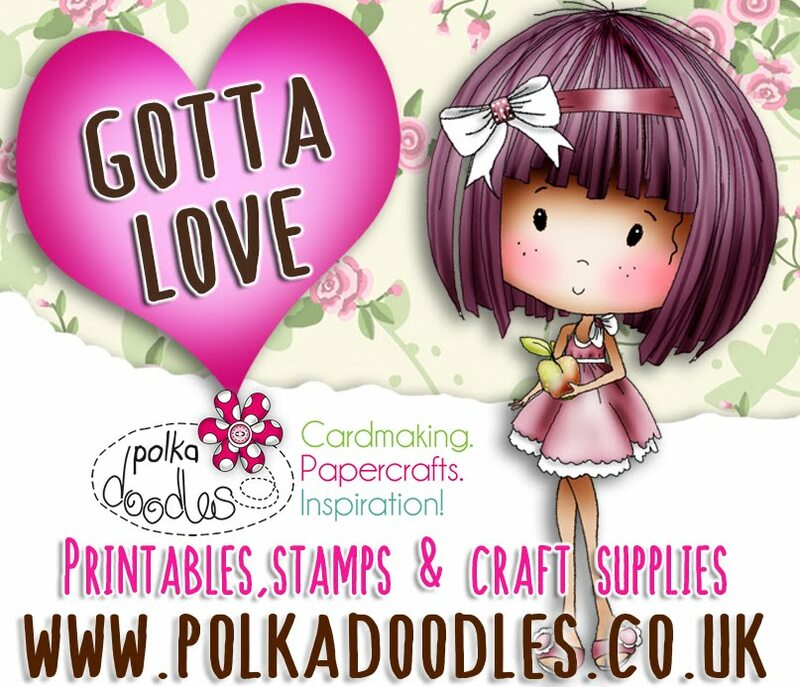 The beautiful backgrounds are from an old Polkadoodles collection, "Boundless Love". Jane P- Love is in the air at PD. 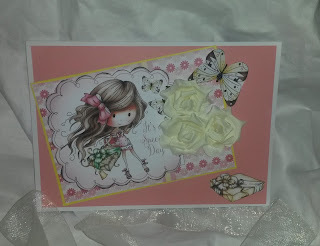 For this weeks creation I decided to use the Rose Budd Collection. I also used other yummy products from the PD store. 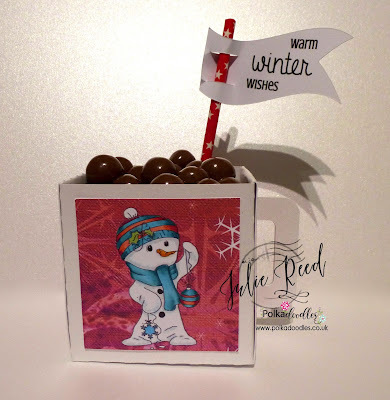 Head over to my blog for all the details. 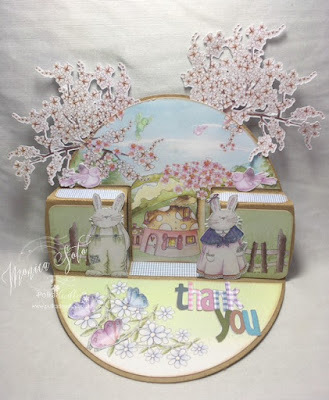 Jane S - I'm saying it with a basket of flowers this week and have used some of the awesome Polkadoodles Dies and paper from the stunning Belle Papillon Collection. 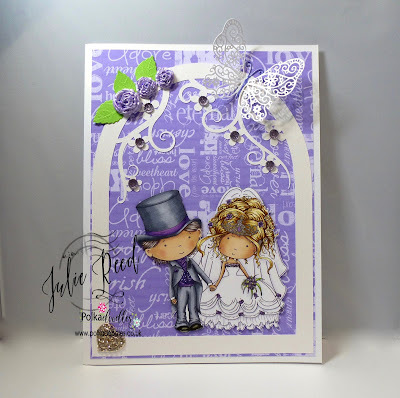 Julie - What is more romantic than a Wedding? My Brother is tying the knot this Summer, so I have taken the opportunity to make a Wedding card from him and his Bride. Image is from Work & Play 9 - Love & Kisses. My main image is coloured with Copics. 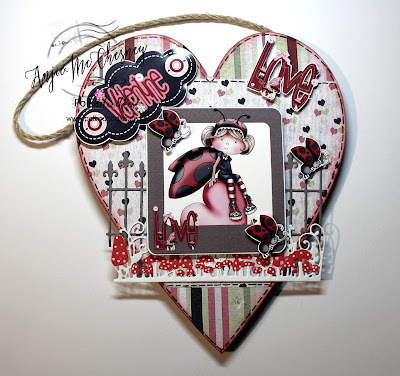 Anjie - When I heard this challenge I immediately thought of using the Lily Love Bug collection, and a wooden heart I got in the sales last year. So here is my make. 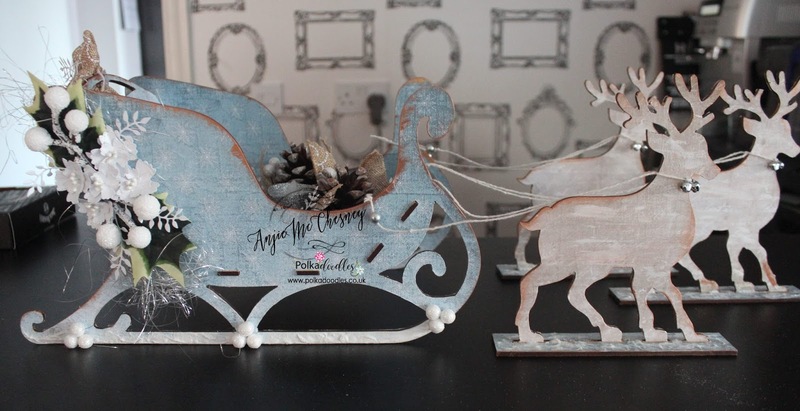 AS IT'S THE NEW YEAR WE ARE EXTENDING THE DEADLINE FOR THIS SO YOU HAVE 48 HOURS TO GRAB YOUR BARGAINS! The winner and top 3 for weeks 49 & 50 can be found at the bottom of this post. 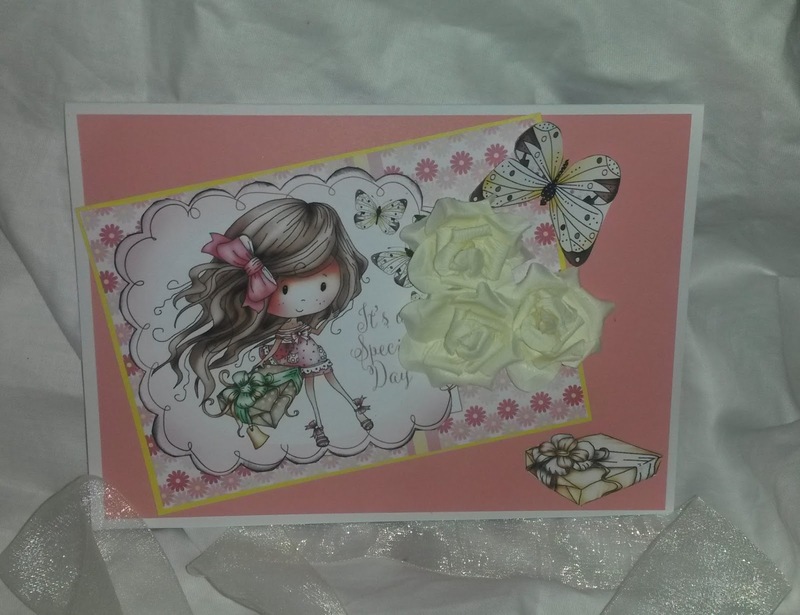 Rebecca - For my card this week I have made a Thank you card for my sons to give his grandparents. The Winston images are so sweet!! 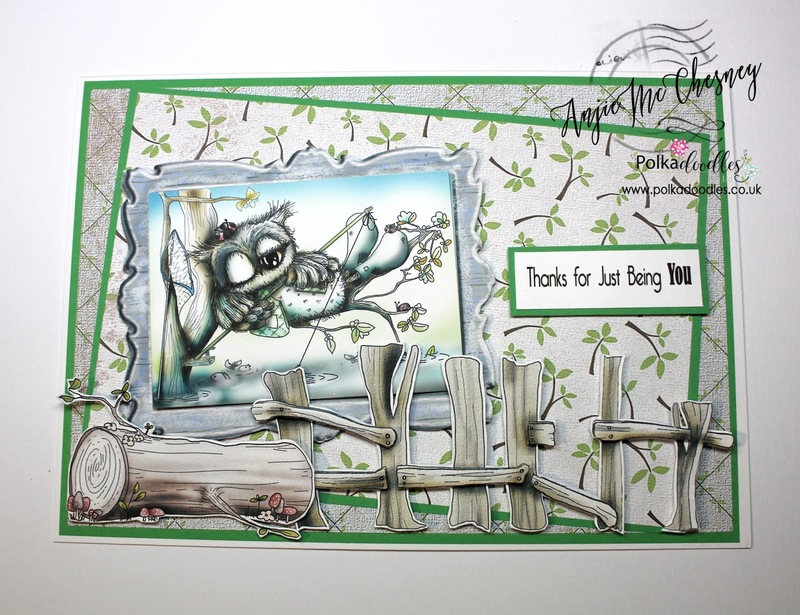 Anjie - For this card I've used the Twiggy and Toots collection. I've used a pre-coloured image for this and all the papers and embellies are from the same collection. I've fussy cut the embellies and made the fence 3D by adding the front bits as a second layer. Everything else is raised on 3D foam pads to make it all pop. Julie - Happy New Year everyone, for my first card of the year, I have made a simple ink and stamp card using the Stamp ME sets and a Sentiment cut on my Cameo. Jane S - Happy New Year all! My thank you card features an image and elements from the gorgeous Winnie Sugar Sprinkles collection. 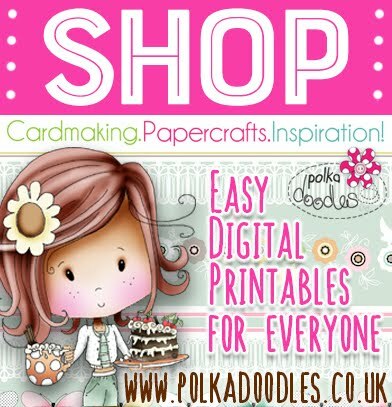 I have also included some Polkadoodles dies! Lori - For my card this week, I printed the pre-colored images from the Winnie Sugar Sprinkles Download Collection and cut this sweet girl out with a stitched rectangle die and popped it up. I added the word art sentiment and a few sequins and wa-laaa! Monica.-This week card is a little bit different step card made with background, papers, embellishments, letters and precoloured images from my beloved Cheryblossom Lane Collection. Jane P.- For my first card for the new year....I decided to use Revolting Kiss colored with Copics...to kiss away 2016 and give thanks to a New Year ahead. Please email us HERE quoting DCW001001 to claim your prize of £5 worth of downloads from the digi store! 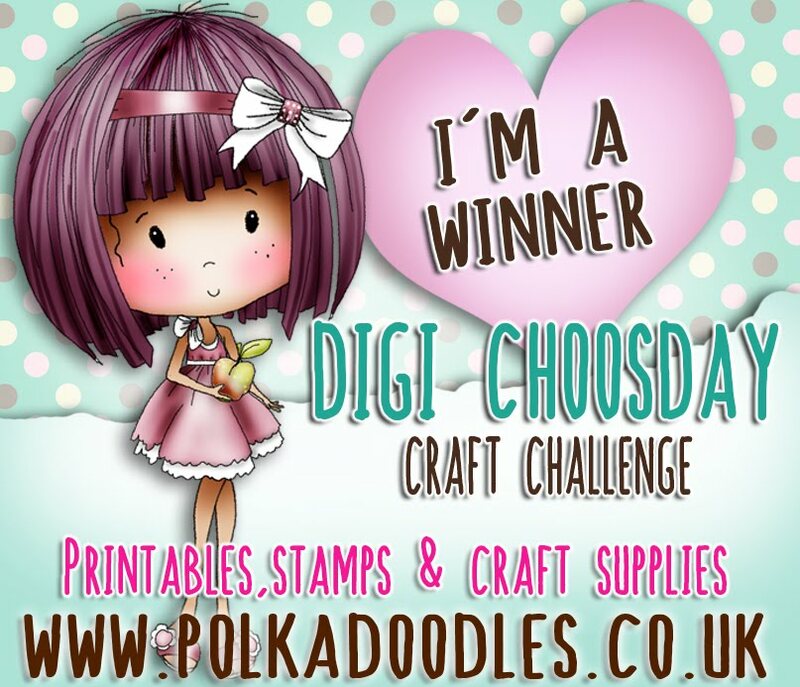 Please email us HERE quoting DCW001002 to claim your prize of £5 worth of downloads from the digi store!